Corporate event mentalist for your corporate events. Ehud performes in New York City, Las Vegas, Los Angeles, Canada, Israel and more! The mentalism of Mentalist Ehud Segev is magic! Mentalist for a party or other events, he will leave you speechless! Read More in this website! The show was running in the American Theatre of Actors in Times Square, NYC. 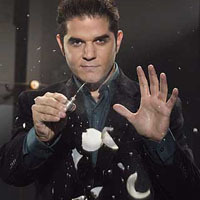 The show received phenomenal reviews especially because of the unique concept of the show: Combining a mentalism act and a theatrical play together. In this play Ehud is playing what happens to him 'Behind The Curtains' as well as what happens in the front - pn stage - with audience participation. 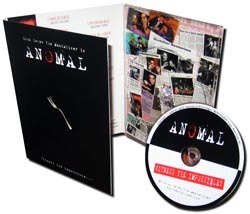 Watch this exclusive video clip from the production of Anomal. WANT TO SEE MORE? ON A COLLECTORS DVD - CLICK HERE! Special sale: Only $15 dollars instead of $25 on other online DVD stores! Including shipping and handling. Outside the US and Canada please add $11 dollars for shipping. Offer is for a limited time or while supply lasts. GO BACK TO MEDIA AND CHOOSE ANOTHER VIDEO CLIP ... CLICK HERE! Mentalist Ehud Segev is not the corporate entertainer you're looking for? 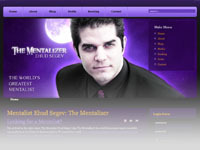 Mentalist Ehud Segev has launched a new website at mentalizer.com. Surf there now to get the most up-to-date news! Thanks! Why not join The Mentalist Mentalizer's FACEBOOK page and get ALL the updates, videos, pictures and more??? To become a member simply look for THE MENTALIZER page on FACEBOOK or click here! The Domain Name MENTALIZER.NET is powered by DOMAINSTIP.COM - The complete domain names guide!